Mega music stars are joining in the surging call for help finding a 32-year-old backup dancer from New Jersey who vanished near the Port Authority Bus Terminal over the weekend after making a cryptic comment to friends. Rihanna posted an emotional plea on Instagram for information on the whereabouts of Shirlene Quigley, who has also performed with Beyonce and Missy Elliott. Calling Quigley a "beautiful soul," Rihanna wrote, "My heart aches thinking of how heavy this is on all who love her!" The Instagram post included a video of the missing woman contemplating peace and love. "Imagine if we treated each other like we all came from the same family," Quigley says in the video. "If you are in my life, I love you, whether it be 10 seconds or forever, because we're all family." Quigley, who lives alone in North Bergen and teaches dance at Peridance Capezio Center and Broadway Dance Center in Manhattan, according to her Facebook page, was last seen getting on a bus at Port Authority around 1 a.m. Sunday, her father said. Her father, who lives in California, said Quigley normally calls him every day around 6 p.m., and he became concerned when he hadn't heard from her. "I just want her to come home, or if someone has her to let her be," the father said. "She's everything to me. She's why I live." 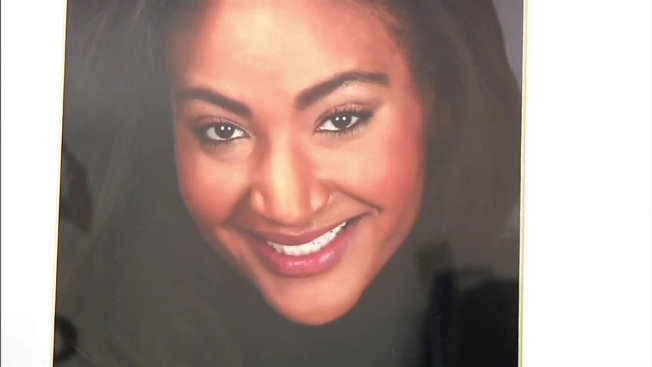 Police are investigating the disappearance of a 32-year-old celebrity backup dancer from New Jersey, who was reported missing after sending a cryptic message to friends. Missy Elliott posted a collage of Quigley, urging people to call police if they have information. "Need help from the whole Dance Community to spread the word!" Elliott wrote on Instagram. "Those who have met her know her spirit is always bubbly and kind & uplifting energy! Sending countless prayers." Police say Quigley's phone was found at a bridal store in Chelsea; her father says she could've been there to pick up something for a show. Quigley's father said his daughter made a strange comment to her friend recently along the lines of "Get ready, it's about to happen and I'm going to need you to sub for me." Quigley attended Liberty Church in Brooklyn; her father says that she is very religious, and that lately she has seemed "euphoric." Her landlord saw her leave her New Jersey home Saturday afternoon and later called a friend to say Quigley did not seem well, the friend said. According to her personal website, Quigley's dance career launched when she was 18 and earned a role as one of the "uhh ohh girls" on Beyonce's "Crazy in Love" music video. She has performed on an array of awards shows, including the VMA's, Grammy's and ESPY Awards. Quigley created the first high heel dance class at a studio in her hometown of Los Angeles and later brought the workshop to New York City. She has also taught at dance studios around the world, her website says.